Knowing how to tackle properly is essential for every football player at any level of competition. 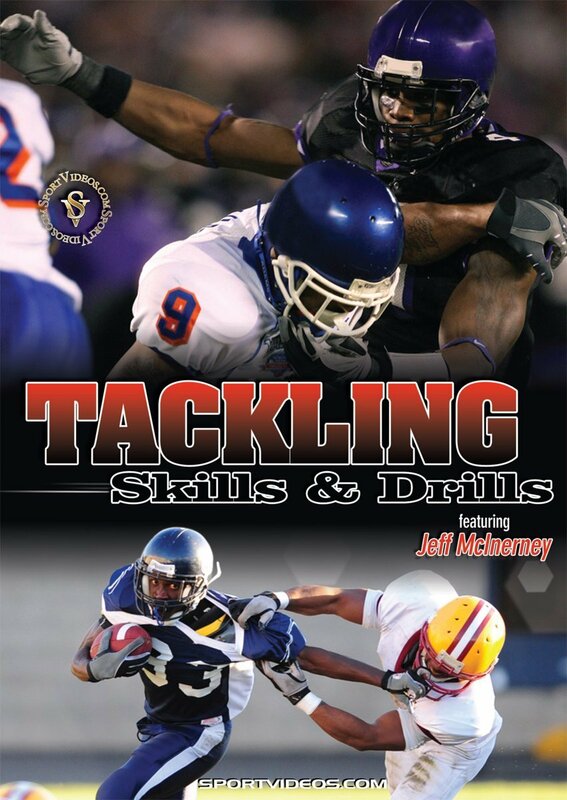 In this comprehensive DVD, Coach Jeff McInerney provides coaches and players with numerous tackling fundamentals they need to be successful and safe. Among the topics covered are: hip extension and leverage, front tackle, angle tackle, wrap and roll, ankle sweep, chase tackle and angle pursuit tackle. The skills and drills are taught in a progressive and easy-to-understand manner. This DVD will help you understand and implement safe tackling methods. About the Coach: Jeff McInerney has been coaching collegiate football for over 30 years. He has coached at numerous top colleges including Slippery Rock University, the University of Rhode Island, Tulsa, UNLV, Oregon State, Georgia Southern and Southern California. McInerney has been the head football at Central Connecticut State University since 2006. He has led the Blue Devils to a pair of Northeast Conference titles and was named the NEC Coach of the Year in 2009.